PetroChina is one of the major producers and distributors of chemical products in China. Most of its chemical plants are integrated in refining. By December 2006, PetroChina said that it was producing 2.63mtpa of ethylene, accounting for 26.6% of the national output. PetroChina says that it is the largest oil and gas producer and distributor in China. In 2007, PetroChina won wide recognition across international capital markets for its corporate governance and profitability. PetroChina built a refining and petrochemical complex in Fushun, Liaoning Province, China. The facilities are known as PetroChina Fushun Petrochemical Company. 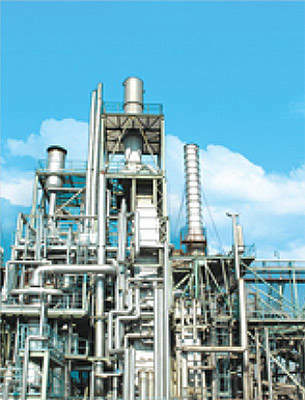 The petrochemical facilities include an 800,000tpa ethylene plant and downstream facilities which include a 300,000tpa polypropylene (PP) plant and 350,000tpa of high-density polyethylene (hdPE) capacity. The plants became operational in 2010. 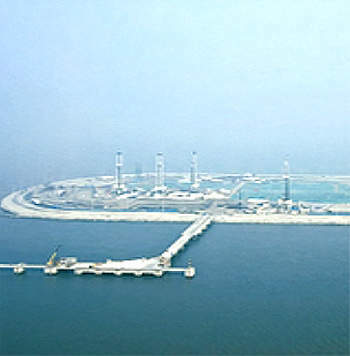 The project was approved by China’s authorities during the first half of 2006. A contract for the 800,000tpa cracker was awarded to US-based Shaw Group. The contract covers basic engineering, technology licensing, procurement of key equipment and materials, technical training, commissioning and start-up services. The value of the contract was not revealed. During the final quarter of 2007, Basell announced that it had been awarded a contract to supply of its Hostalen technology for the 350,000tpa hdPE plant being built at the Fushun refinery/petrochemical complex. Basell says that its Hostalen process is a ‘leading low-pressure slurry process for the production of bimodal hdPE’. During February 2008, PetroChina announced that Norway-based Aker Kvaerner had been awarded a contract to provide the extended process design package and technical advisory services for the 300,000tpa PP plant. Aker Kvaerner said that this is the third PP project in China that it had been awarded with the last year. The value of the contract was not disclosed. The plant produces a broad range of PP resins, including homopolymers, random copolymers, and impact copolymers for various grades of plastics. "Fushun Petrochemical is the biggest integrated refining and petrochemical base in north-eastern China." During February 2008, PetroChina announced that it had selected US-based Dow Chemical’s Unipol Polypropylene Process technology for the PP plant. The Unipol Polypropylene Process technology was acquired by Grace from Dow Chemical in December 2013. According to PetroChina, its subsidiary Fushun Petrochemical is the biggest integrated refining and petrochemical base in north-eastern China, and expected to lead to the growth of related industries and the local economy. PetroChina also built petrochemical capacity in Chengdu, Sichuan Province.